The Fortnite week 8 challenges have just gone live and one of them will probably have a lot of players scratching their heads: search between a mysterious hatch, a giant rock lady, and a precarious flatbed. 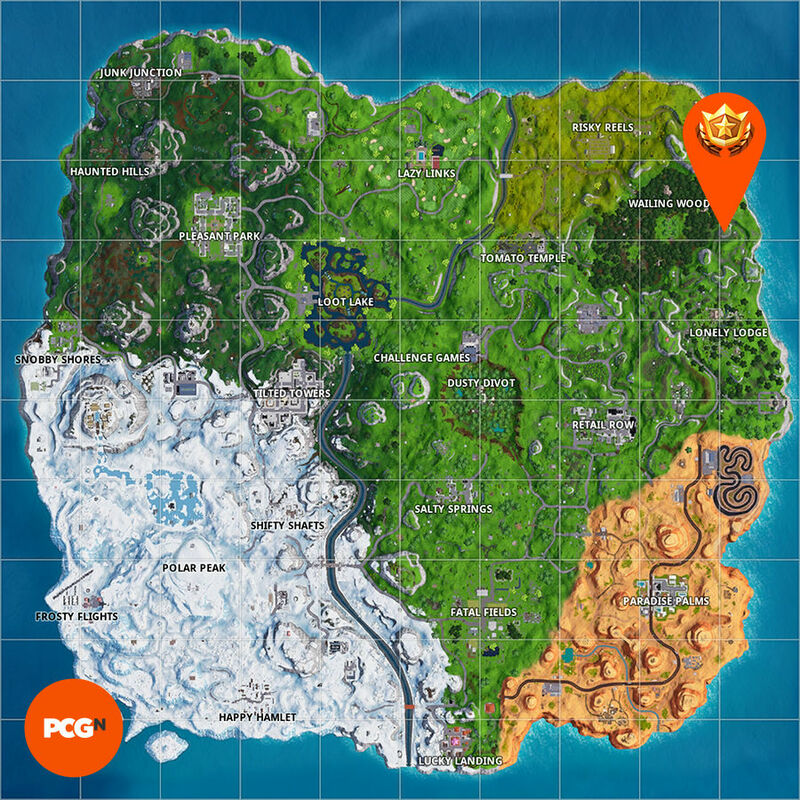 While you will have no problem ticking off the various visit locations, eliminate opponents with, and deal damage with challenge archetypes that crop up each week, this search between challenge features a number of Fortnite locations most players still aren’t familiar with. Besides, it doesn’t help that the entire battle royale island is covered in snow thanks to the wintry event that arrived last week, alongside a fresh set of Fortnite Ice Storm challenges. Not to worry though, as we’ve managed to track down exactly where the illusive battle star is for the season 7 week 8 challenges, which leaves you with the enviably simple task of loading into a match, landing exactly where we tell you, and holding the E key. Below, you’ll find a map with a giant orange pin on it signalling exactly where you need to land, as well as a screenshot showing off what the spot looks like in-game. So, where do you search between a mysterious hatch, a giant rock lady, and a precarious flatbed? This week we’ll be heading over to the north-east corner of the island, just east of Wailing Woods. 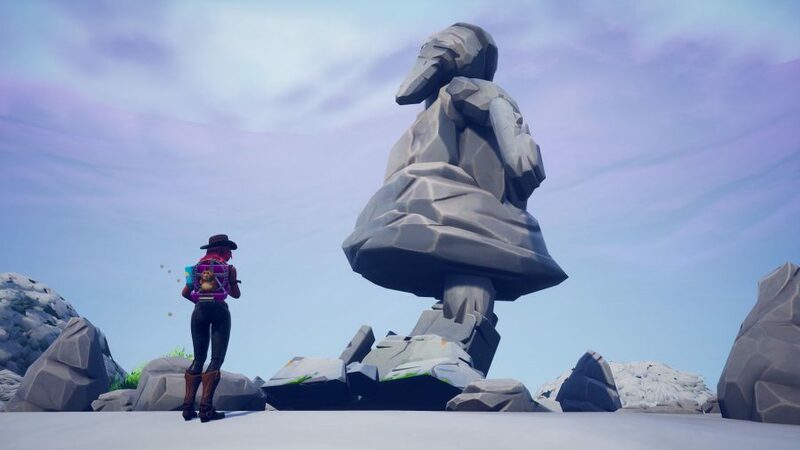 The mysterious hatch can be found in Wailing Woods itself, while the giant rock lady can be seen standing tall at the south-east border of the named location. Finally, the precarious flatbed refers to a lorry that’s teetering over the edge of the map. 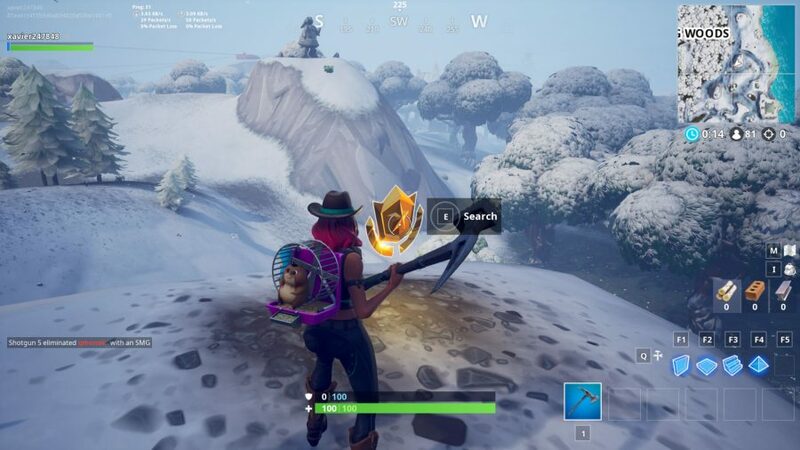 Triangulate using these three landmarks and you should arrive at a skinny hill directly east of the centre of Wailing Woods. Check out our custom map for the exact spot (click to enlarge). In case you’re still struggling with this, here’s an in-game screenshot of where you’ll find the battle star this week. Hopefully you’ve now earned yourself one of the easiest Battle Pass tiers of your Fortnite career. If you’re not in a hurry then you may want to wait a couple of days as the first day usually sees the entire Battle Bus emptying out in pursuit of the battle star – people will do anything to unlock some new Fortnite skins. Enjoy your Fortnite goodies, and don’t forget to come back next week for some helpful guidance on the next set of Fortnite weekly challenges.